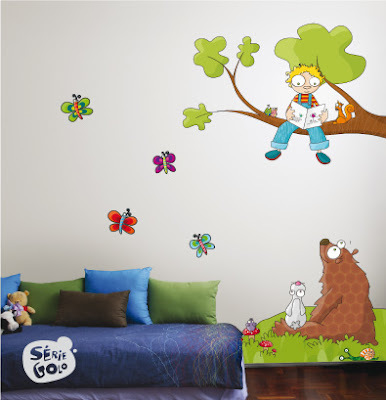 This year, WALLTAT has introduced the "Kids on Safari" collection of full color wall decals filled with imagination. It is perfect for a nursery and would allow your child to interact with their surrounding while learning colors, shapes and animals. There are many fun characters and animals to choose from, along with background decals to fill in any blank areas. 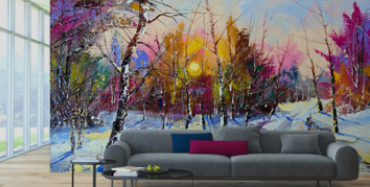 Much easier to install than messy stencils or gluey wallpaper. You can even cut the decals with regular scissors if you face a tricky angle or obsticle. Most importantly, they are completely removable, so when the little one is ready to graduate into an older collection of decals, such as nature, sports or pop culture you can peel it off and start again!